I am a London, UK-based financial writer, editor and oil market analyst. I write for Forbes, and other sector titles on a regular basis, alongside industry speaking engagements. I also serve as the Head of Content at financial research and information start-up ReachX. Until recently, I was the Business Editor of International Business Times (UK Edition), part of the Newsweek Media Group. With over 20 years of experience in the financial and trade press, I have worked on all major media platforms – print, newswire, web and broadcast. I am a regular and lively commentator on ‘crude’ matters for international broadcasting outlets including BBC Radio, CGTN, CNBC, TRT World, Al Jazeera, IG Markets TV, and others investor forums. I also review financial books – both on Amazon UK as well as on this blog – in my (rare) spare time. I commenced my career in 1997 with internships at several newspapers and CNBC Asia. Following that, my first break came as an editorial trainee at Reuters affiliate newswire UNI in 2000. Assignments at Visiongain Publishing, Asian Voice and Informa followed, before I joined global business news broadcaster CNBC’s European production operations for a two-year stint. I then left CNBC to take-up the position of Chief UK Correspondent for Montreal-based Canadian Economic Press, followed by Infrastructure Journal where I worked as an oil & gas analyst covering projects within the sector. Between September 2012 and July 2014, I worked on IDG's British portfolio of B2B titles including CIO UK and CFOWorld, latterly as Business Editor of both. I began my ongoing contribution to Forbes.com in June 2014. An assignment at Digital Look and Sharecast commenced in March 2015, where I doubled up both as newsdesk sub-editor and oil markets analyst, before I ended it in favour of IBTimes UK/Newsweek Media from May 2016 to April 2018. Writing and commentating on crude oil and commodities remains my core area of expertise. While the idea behind the Oilholics Synonymous Report was born in 2007, I have written about the oil & gas sector since 2004 either in a freelance or staff capacity, including spot reports (pricing, market analysis and infrastructure), coverage of OPEC summits and energy events, analysis of oil corporations' financials and exploration data. I have also covered media, aviation, retail, technology and telecoms sectors as well as personal finance in the past, including coordinating, print-run flat-planning and publication of the annual personal finance volume of Asian Voice newspaper. It was released by former Bank of England Governor - the late Lord Eddie George - at the House of Commons Terrace in June 2005. At various points in my career, I have been an OPEC, Bank of England and UK Office for National Statistics correspondent. An interesting journalistic journey, spanning over two decades, has seen me interview several senior executives and leading figures in financial, business, legal and political circles. Some notable figures include the Late Lord Eddie George (former Governor of the Bank of England), Robert M. Kimmitt (former United States Deputy Secretary of the Treasury), David Cameron MP (in his capacity as Leader of the UK Conservative Party in opposition), Galo Chiriboga (former Minister of Petroleum and Mines, Ecuador), Margaret Hodge MP (former Chairperson of the UK Public Accounts Committee), Bob Dudley (CEO of BP), Ulrich Spiesshofer (CEO of ABB), Jean-Pascal Tricoire (CEO of Schneider Electric), Bernard Charles (CEO of Dassault Systems) and Jim Ratcliffe (Founder of Ineos). 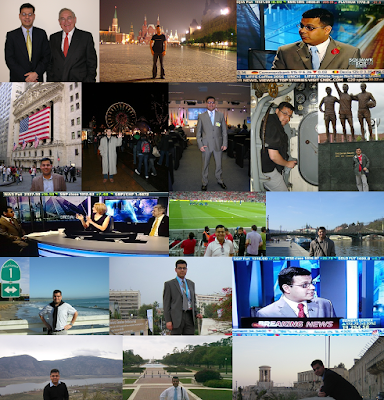 Apart from UK-based work, I have reported from overseas with assignments in North and South America, Asia Pacific, Indian Subcontinent, Europe and the Middle East. 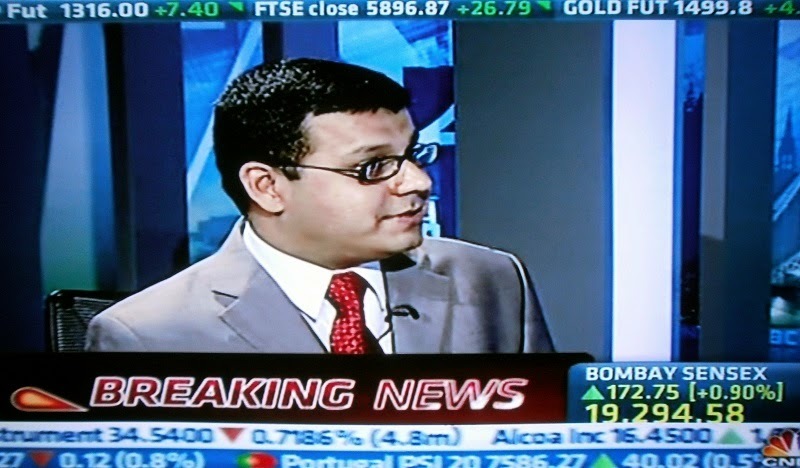 Academically, following on from a Bachelors degree in Economics and a diploma in creative writing, I completed my Masters degree in Digital Media Studies from Goldsmiths College, University of London in 2006 while working at CNBC. My academic research entailed critically examining and researching the new media domain and application of the Internet by corporates, academia, lobby groups as well as citizenry's user interface with emerging technology. I am a member of the Chartered Institute of Journalists (CIOJ) and the London Press Club. Away from professional affiliations, I am a committed supporter of UNICEF, NSPCC and the Royal British Legion. Last but not least, I am a proud member of the P.G. Wodehouse Society (UK), an avid reader of The Economist and a passionate fan of Manchester United football club.